Dolly Menghani - one of the most confident, radiant & happy Sabyasachi bride we have ever seen! One look at her, and you’ll completely fall in love with her smile too, it’s contagious! No wonder she’s a Sabyasachi’s favourite! She’s cool, she’s laid-back, and she seems to be really having the time of her life at her wedding. She truly is a bridechilla! 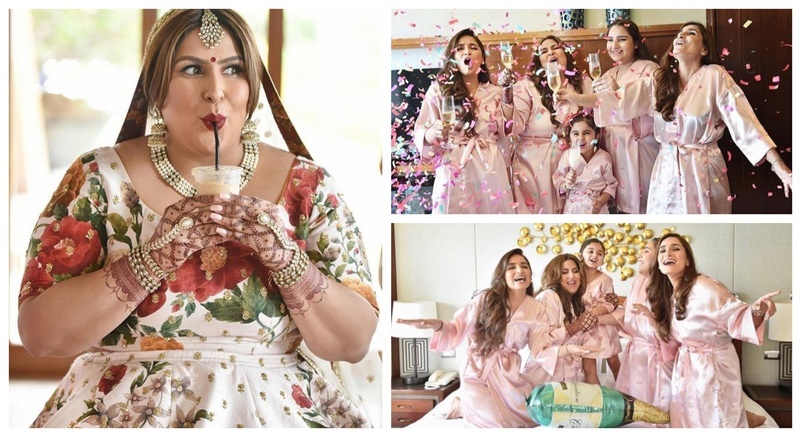 Dolly is a food and travel blogger from Philippines, who picked a stunning white floral Sabyasachi lehenga for her big day, and completely nailed her bridal look. Can’t get over this fun, confident and stunning bride. Well, as they say, happy brides are the prettiest indeed. P.S. If only I could be half as chilled out as her on my wedding day!! !